Nteboheleng Thamae is an Accountant at MNN Centre for Investigative Journalism. 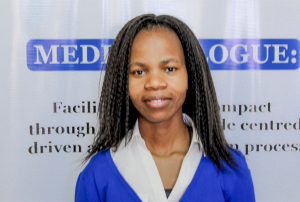 She has previously worked at Lesotho Red Cross Society as VAT Claim Officer from March to October 2014. She has also worked at Motseki Transport and Plant Hire as an Accountant and Administrative Officer from May 2015 to March 2016. She was recently working with Khatala and Associates as an Auditor and Accountant from October 2016 to May 2017 before joining the MNNCIJ team. She is a holder of a Bachelor Degree in Accounting obtained from the National University of Lesotho Business Administration Department. She enjoys gospel music among other things in her leisure time.